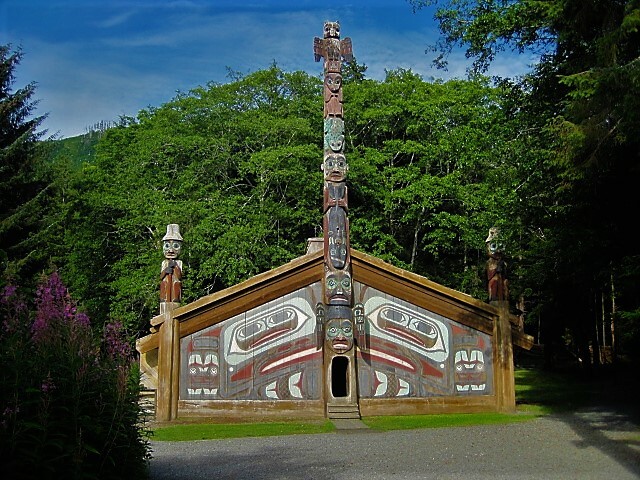 Are you looking for things to do in Ketchikan, Alaska? Our small group Ketchikan tours include scenic drive along coast, wonderful photo opportunities, unique Alaska snacks, bottled water, geocaching and scavenger hunt for the kids, and transportation to and from the cruise ship. Rainforest walks and hiking in our lush green forest! Our adventure includes Rainforest Walks and Hiking in our lush green forest. 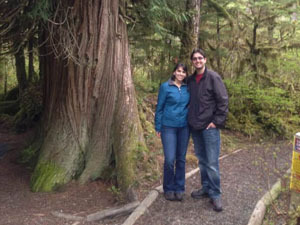 You can escape the crowds and enjoy personal attention on this off the beaten path Ketchikan tour experience. Our small tour groups enjoy hiking trails the locals use in the Tongass National Forest, that very few visitors get to see. 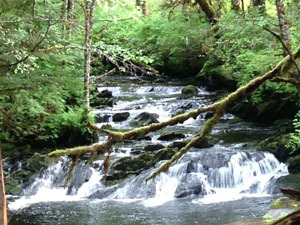 Venture out among the giant Sitka Spruce, Cedar, and Hemlock trees while you walk along a beautiful cascading creek to a rushing waterfall. Journey along a nature trail while enriching your senses, as you experience the largest National Forest, breathing in the fresh Alaska air, and viewing the amazing flora and fauna. 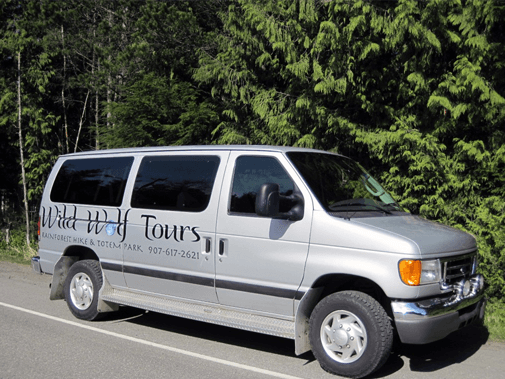 We accommodate all Cruise Ship Passengers with transportation to and from the dock on our Ketchikan tours and sightseeing excursions. 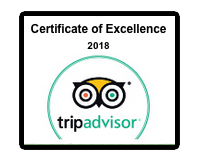 Our Ketchikan Tours are family friendly, ask about our scavenger hunt for the kids or try Geocaching, it’s like a treasure hunt with our GPS unit leading the way. You will have the opportunity to hear personal stories told by our Local Guide about their rich Native Heritage and our towns history. 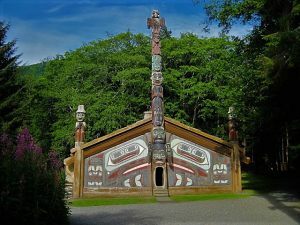 On this Ketchikan tour we will visit a Totem Park where you will enjoy magnificent Totem Poles and a Clan House while learning about the native culture of the Tlingit, Haida and Tsimshian Alaska Indians. Check out our new tour the Hike and Brew ! This is a moderate Ketchikan rainforest trail that leads to a scenic beach area. 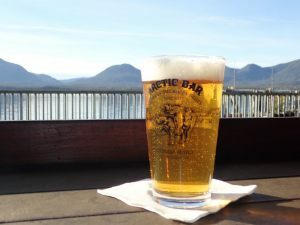 After the hike we stop at a classic Alaskan bar to enjoy a cold Brew of local draft beer or warm Brew a cup of coffee. 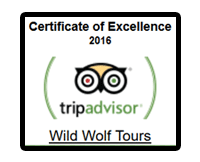 Wild Wolf Tours is owned and operated by a Local Alaska Native family. 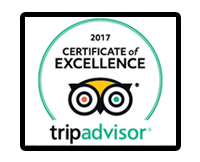 We offer a quality personal tour and will work hard to ensure you enjoy your time in Ketchikan, Alaska. 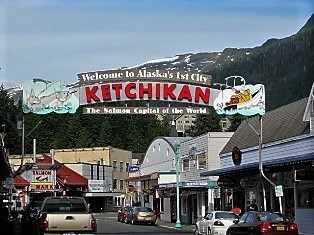 Looking for things to do in Ketchikan? 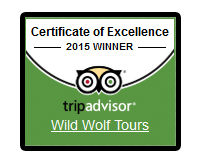 Explore the rainforest and Totem Park with Wild Wolf Ketchikan Tours.